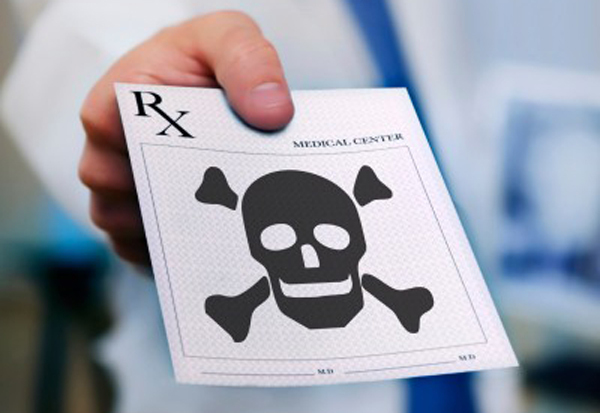 International mental health industry watchdog, Citizens Commission on Human Rights (CCHR) says that with nearly 80 million Americans taking at least one psychiatric drug, this scathing critique about the rising psychiatric drug health issue, created by the psychiatric-pharmaceutical industry, lays bare the methodology and repercussions of hooking entire populations on prescription mind-altering chemicals. The data are alarming. According to data obtained by CCHR from the IMS Health Vector One National database, in 2013, 10,291,860 Americans, alone, were prescribed ADHD drugs, 41,226,394 were prescribed antidepressants, 6,845,303 were prescribed antipsychotics and 36,472,663 were prescribed anti-anxiety drugs. What damage, exactly, does the psychiatric medication cause? The possible adverse effects associated with antidepressant use, for example, is widely known and, in fact, the Food and Drug Administration (FDA) has made it abundantly clear by mandating that the list of adverse effects be made public and listed on the package inserts. The list of possible adverse reactions is lengthy: suicidality, mania, psychosis, depression, hallucinations, abnormal dreams, abnormal thinking, depersonalization, paranoid reaction, delusions, confusion and violent behavior to name a few. Click here to find out more about psychiatric drug side effects. Professor Irving Kirsch of the Department of Psychology at the University of Hull in the United Kingdom, who said The Sedated Society “should be required reading for all medical students,” is responsible for nearly singularly challenging the effectiveness of antidepressants when he reviewed all the clinical trials of antidepressants submitted to the FDA. His findings rocked the psycho-pharmaceutical world: that the results of a meta-analysis of antidepressant studies showed that people “got better on placebo, and the difference between [placebo and antidepressants] was small. In fact, it was below the criterion for clinical significance….” In other words, Kirsch revealed that the antidepressants did not prove to be effective under the criteria (statistically significant difference between drug and placebo) required by the drug regulatory agencies. Beyond the lack of efficacy of antidepressants, and there being no known biological cause for any psychiatric disorder, the contributing authors also address more serious, long-term effects of antidepressant use, including tardive dyskinesia (TD—characterized by involuntary and repetitive body movements) which is the result of permanent brain changes. Brain damage due to prescribed psychiatric drugs is not a new concept and, in fact, the American Psychiatric Association (APA) has devoted a section of its Diagnostic and Statistical Manual (DSM) to this very issue. For example, the APA lists the following drug-induced disorders as “Medication-induced Movement Disorders: 332.1 Neuroleptic-induced Parkinsonism, 333.92 Neuroleptic Malignant Syndrome, 333.72 Medication-Induced Acute Dystonia, 333.99 Medication-Induced Acute Akathisia, and 333.85 Tardive Dyskinesia to name a few. Collectively, the conclusion among the authors is one of urgency. With ever-increasing numbers of people, including more than 800,000 0-12 year olds taking antidepressants, a serious public debate is needed, especially in light of the long-term brain damage now known to be associated with psychiatric drugs. Click here to find out about CCHR. IMS, Vector One: National (VONA) and Total Patient Tracker (TPT) Database, Year 2013, Extracted April 2014. Irving Kirsch, PhD, “The Emperor’s New Drugs Exploding the Antidepressant Myth,” 2009, p 177.